I am a 29 year old who's addicted to all things artistic. It's fine if you sell things made with my fabric etc. but please include a link to my shop. 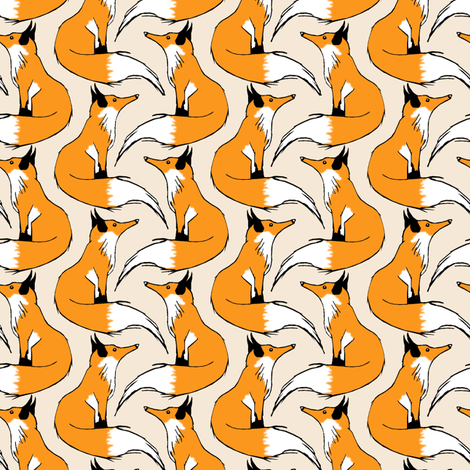 Red foxes in a lovely repeat that resembles stripes. If only I had the brains to do that intentionally . 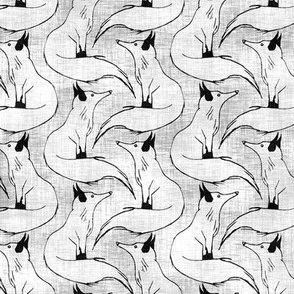 . .
pond_ripple says: It happened quite by accident when I was playing around with different arrangements to make this little fox repeat! 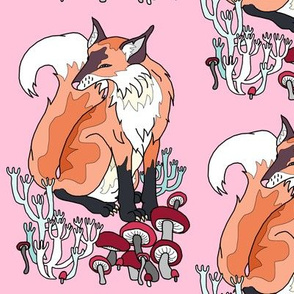 heleen_vd_thillart says: These foxes look amazing. To mirrow them and make white stripes is genius! 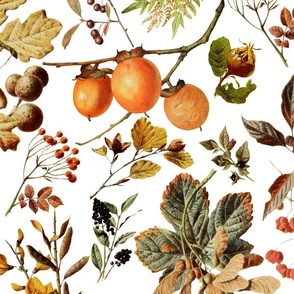 the_naturalists_daughter says: This is lovely! 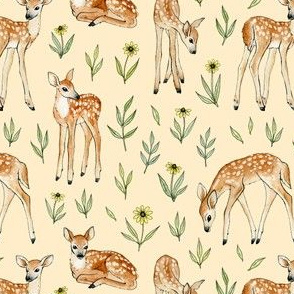 larkspur_hill says: This so cute! There is the silliest music video on utube..."what does the fox say?" You might want to look it up for a laugh! 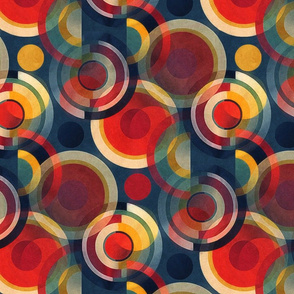 victorialasher says: Fabulous design and very cool the way the it appears as stripes. Also the way it fools your brain into seeing two different shades of background stripes. 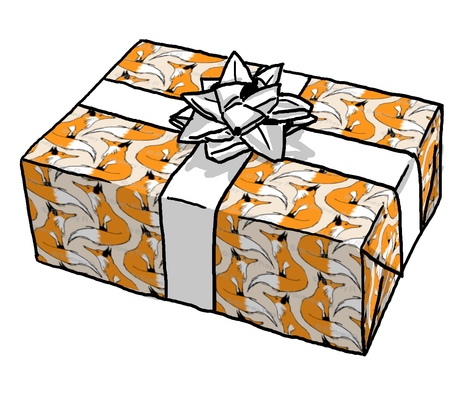 pond_ripple says: Thanks, Owls and Shellypenko! shellypenko says: That's just amazing how it made stripes! I love it! What a cute crib set this made! pond_ripple says: Thanks! I was so excited when susannahwijsen sent me the crib photo; it's a thing of beauty, isn't it? jillbyers says: Great design. 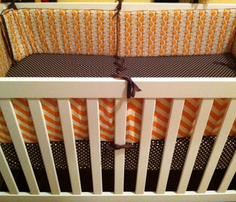 I LOVE the way the crib bedding came out! So cute. 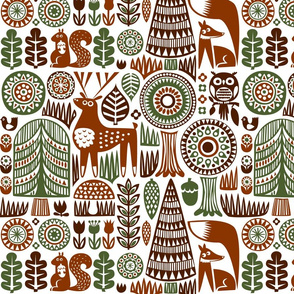 penina says: The scarf is a great use of this lovely pattern! 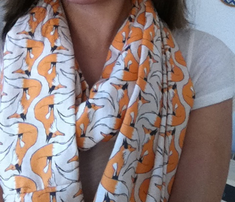 trizzuto says: an infinity scarf I sewed up from Kona Cotton fabric printed with this awesome design! pond_ripple says: Thanks open-shop and mummysam! pond_ripple says: I'm glad you like them linsart! 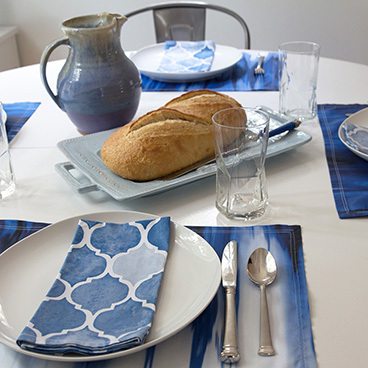 linsart says: Lovely design, like it in the other colours too. 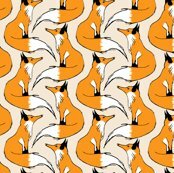 amy_g says: wow, such a cool design! needlebook says: I think this is my favourite, I love orange and pink together! leslipepper says: This is very cool! Well done. peagreengirl says: Your designs are so very creative! Good for you doing so well at your young age!! Maybe you'll become a famous designer! 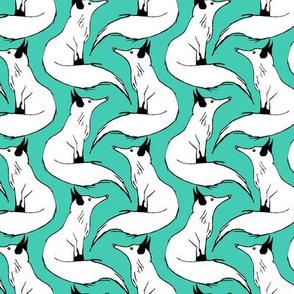 cjldesigns says: These foxes are beautifully illustrated and they repeat so well. 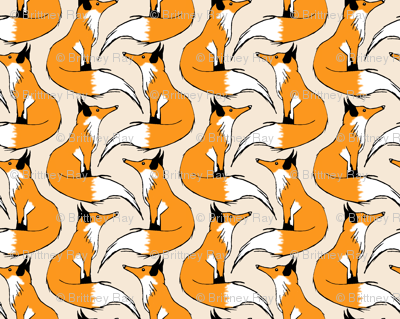 kim_buchheit says: oh, yes, love the way your foxes made those stripes... genius! mayajane says: That is very cool! 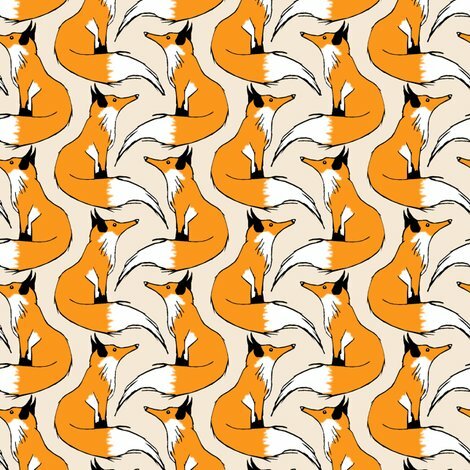 weavingmajor says: what a great interplay of shapes - I love the stripe the fox bodies set up too, and the great curves and zigzags between their bodies. Well done! joanmclemore says: This is a really interesting "stripe". The tails work very well for the stripe color variant. pond_ripple says: Lining of simple wallet!